We hired Booth7 to paint our entire main floor and kitchen cabinets for a total floor refresh. Joe was prompt courteous and professional throughout the entire process. Both crews that came in to do the work did excellent work and even came back to do some minor touch ups. We are extremely happy with the results and would not hesitate to hire Booth7 again. Hi Julie,..thank you very much for trusting us in transforming your kitchen cabinets and refreshing your main floor walls. Natallia was wonderful to work with. It took me a long time to figure out what material I was going to use for my kitchen counters (chose porcelain) and she was really helpful, patient and professional. She always sought advice if there was a question she didn’t know and her responses were prompt and thorough. 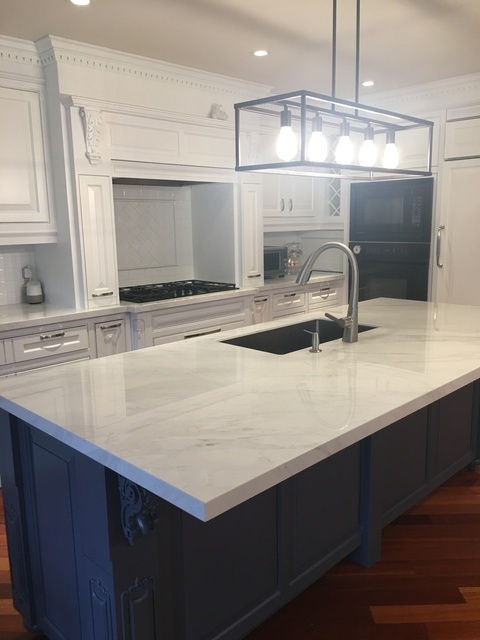 The removal of our granite posed some additional challenges but their crew was experienced and removed it with no damage to our cabinets. We couldn’t find another company who was willing to take on the task. Sergey and crew installed and completed our installation before Christmas as planned and we couldn’t be happier with how it all turned out. Top notch company for their experience, professionalism, honesty and service. I wouldn't hesitate to recommend them to friends and family.